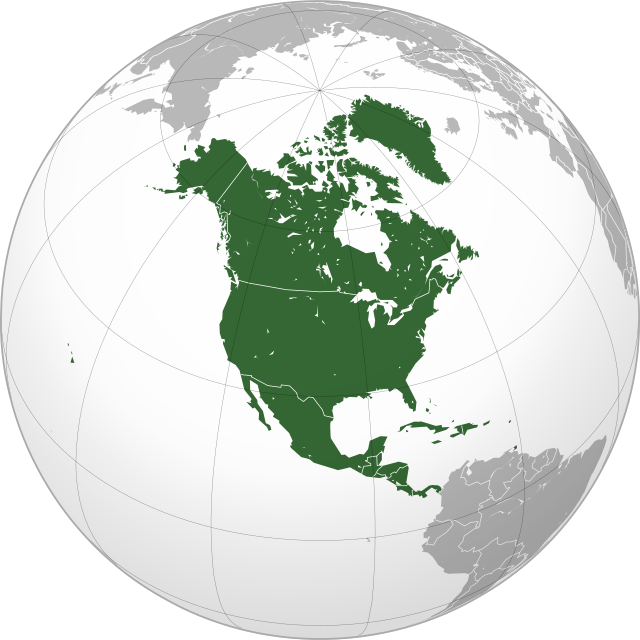 North America is a continent wholly within the Northern Hemisphere and almost wholly within the Western Hemisphere. It can also be considered a northern subcontinent of the Americas. The first people to live in North America were Paleoindians who began to arrive during the last glacial period by crossing the Bering land bridge. The continent that is the northern part of the Americas; that part east of the Pacific Ocean, west of the Atlantic Ocean, north of South America and south of the Arctic Ocean. The Ordovician hardgrounds and their bioerosional trace fossils are best known in North America. Meaning of North America for the defined word. Grammatically, this idiom "North America" is a noun, more specifically, a proper noun.